Make a plan before visiting your favorite restaurant. You work hard to maintain your healthy lifestyle with meal prep, portion control and balanced plates throughout the week. 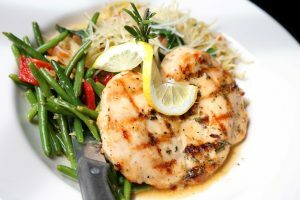 When “cheat day” comes and you allow a guilty pleasure meal, Gold’s Gym nutrition expert Kritikaa Agnani says you can satisfy your cravings without sabotaging your diet. “The first thing to figure out is your goal for the meal,” Agnani says. 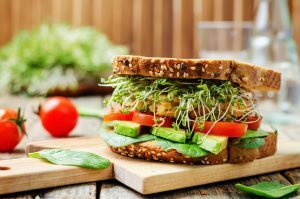 “If you’re purely focused on cutting calories, the advice is different than if you’re focused on cutting sodium or carbs. 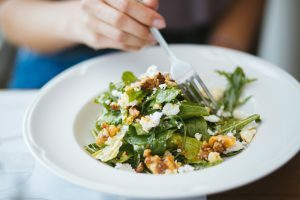 Agnani looks at popular menu items and offers these modifications and substitutions to help you order healthy food when eating out. 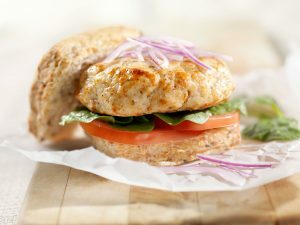 One way to order a healthier burger is to substitute the meat. Regardless of the meat you choose, deconstruct the burger to make other healthy modifications to meet your goal: Skip the cheese and leave the sauces on the side (to cut fat and calories) or bypass the buns (to cut carbs). There are a couple of things to remember when ordering chicken: the color of meat and method of cooking. 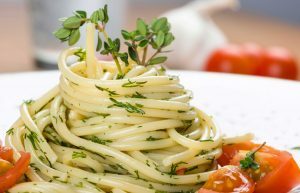 It’s really easy to overeat pasta because it’s usually served as the main course, Agnani says. There are a few ways to enjoy it without overindulging. If your goal is to cut fat and calories, choose dishes with tomato sauce (marinara) over ones with creamy sauce (alfredo) and skip the ones with meat sauce altogether. Ask for whole wheat pasta and decline the added Parmesan when the waiter comes by with the cheese grater. Dabbing up grease from a meat pizza isn’t a bad idea, but it’s not making that pie healthy, either. 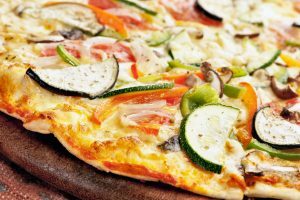 A good rule of thumb is to load the pie up with more veggie toppings than meats (to cut fat, calories and sodium) and go light on the cheese. As with other bread-based items, ask if whole wheat crust is an option. If not, order thin crust instead. Toppings and dressings can derail an otherwise healthy salad order. The deconstruction strategy applies here, too: Order whole wheat bread, use spreads and sauces minimally (less sodium and calories), add a lot of vegetables and choose lean meat such as turkey over salami, bologna or roast beef. 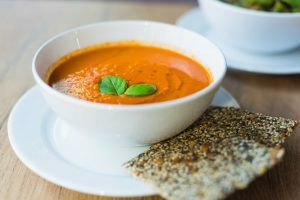 Generally, tomato- and broth-based soups have less fat than cream-based ones. Keep that in mind if you’re monitoring your fat and calories. 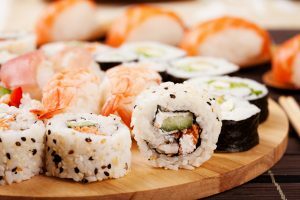 Luckily, sushi is already a mostly healthy food to order and one of the easiest to make even healthier, Agnani says. Soy sauce is high in sodium, but the amount used to dip sushi is so minimal that Agnani says you don’t have to skip it completely. However, if you’re watching your intake, use the low-sodium version (the bottle with the green cap).